Akram Afif was targeted by bottle-throwing Emirati fans as he tried to take a corner. 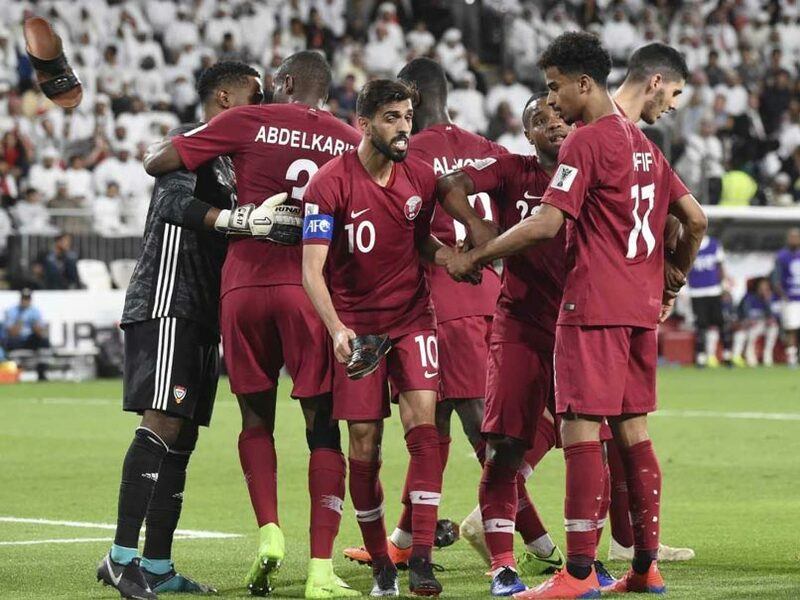 Qatar punished unwelcoming hosts United Arab Emirates 4-0 in a politically charged clash marred by disgraceful crowd behaviour on Tuesday to reach their first Asian Cup 2019 final. The Qataris, whose national anthem was drowned by boos before the game, face Japan in Friday's final after goals from Boualem Khoukhi, Almoez Ali, Hasan Al-Haydos and Hamid Ismaeil sealed victory for the 2022 World Cup hosts amid ugly scenes in Abu Dhabi. 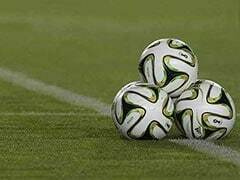 As they celebrated victory and a record sixth clean sheet at a single Asian Cup, shoes were thrown at them and plastic bottles rained down from angry local fans -- as they had for every Qatar goal, midfielder Salem Al-Hajri hit on the head after their third. Qatar exacted swift retribution eight minutes before the break, Ali smashing home a right-footed shot from the edge of the box to equal Ali Daei's 1996 record of eight goals in a single Asian Cup. 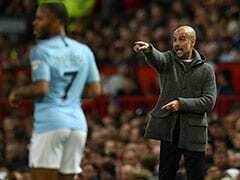 As the Sudan-born striker celebrated with his team mates, more bottles and shoes were flung at the players as the atmosphere began to turn sinister. A half-time entertainer sang "Let's bring Asia together" but there was little harmony as the crowd -- boosted by mass giveaways exclusively to locals -- continued to hurl abuse at the Qataris. UAE almost pulled a goal back after the interval when Ali Mabkhout's deflected shot forced Saad Al-Sheeb into a fingertip save before substitute Ahmed Khalil also tested Al-Sheeb's reflexes. Defender Ismail Ahmed was then shown a red card in stoppage time for an elbow on Al-Hajri before Ismaeil added a fourth to compound UAE's misery.